After living in their Toronto property for seven years, a pair of medical professionals realized that the residence they shared with their three teenage children was not living up to its full potential. 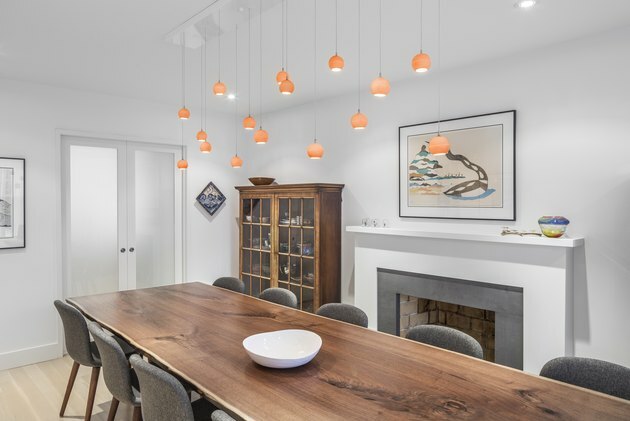 While it was certainly livable, the house was quickly falling short of their needs — and was way behind contemporary styles. A choppy layout placed walls in awkward spaces, and the outdated pink kitchen featured rosy Formica countertops. But the close-knit family didn't want to trade their familiar coziness for a modern floor plan that they worried would be full of glass and sterile open space. 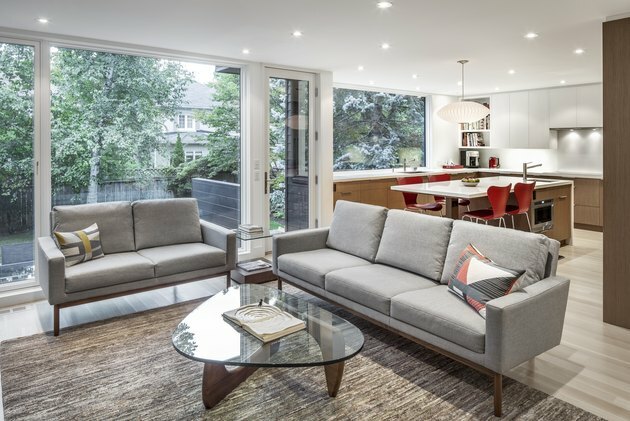 So when the couple called on principal Kyra Clarkson for a remodel, they asked her to improve the flow of the ground level while maintaining its overall intimacy. "They liked the idea of a quiet TV area where their daughter could close the door, and a dining room that could be [separate] from the busyness of the kitchen," Clarkson said. The architect set about creating a joint kitchen and living area that flows onto the backyard. It's a design that offers plenty of spots for togetherness, so that the new address still feels like home. While the exterior didn't receive major renovations, Clarkson installed new windows and painted the white trim and shutters black for a more dramatic look. Clarkson says that one of the major challenges of the project was figuring out how to approach the existing stairwell and center hall. 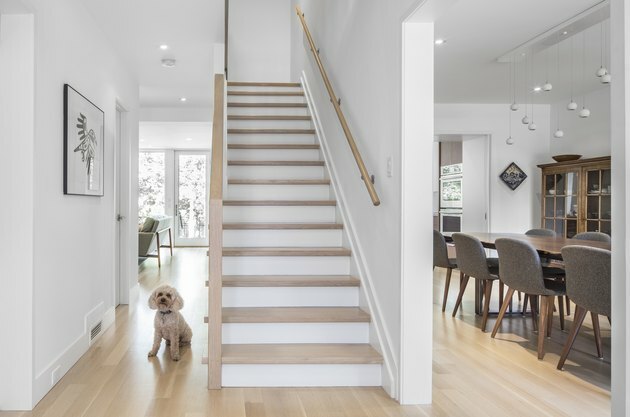 Since she couldn't move or rebuild the stairs, they brightened the area with white oak flooring that matched the walls. 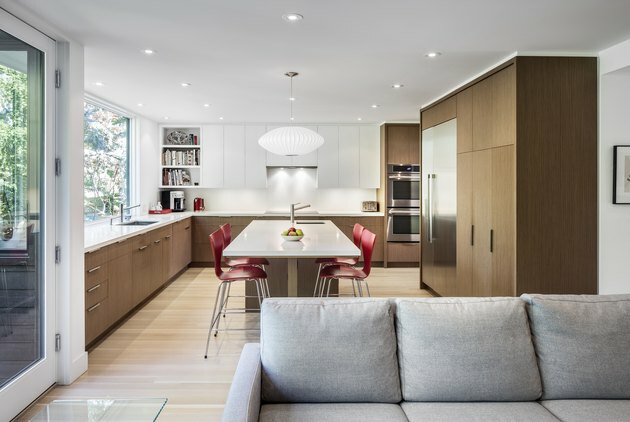 The family loves to cook together, so naturally the kitchen was one of the main priorities for the renovation. 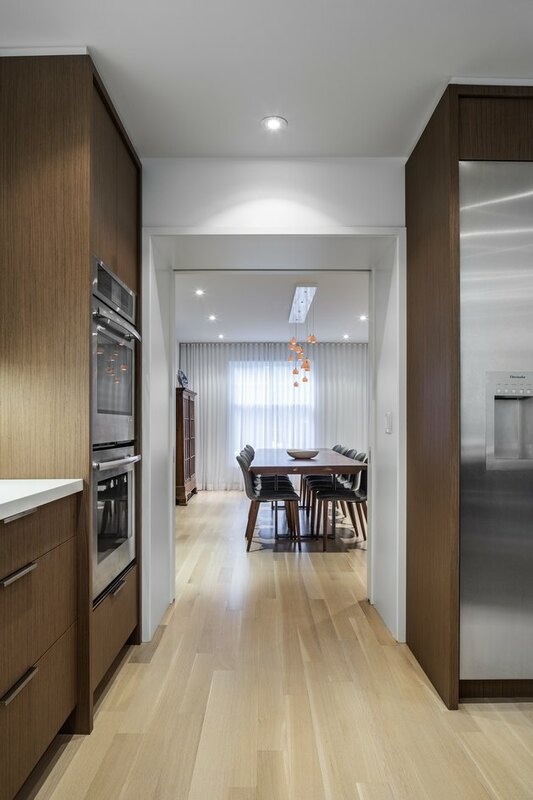 "They wanted a sense of warmth in the materials, so we ended up using walnut in the kitchen," Clarkson said. A George Nelson Bubble Lamp illuminates the Caesarstone island, which is surrounded by Series 7 counter stools by Arne Jacobsen. Floor-to-ceiling windows connect the living area to the backyard. A Raleigh sofa and loveseat from Design Within Reach are paired with a Isamu Noguchi coffee table. The family requested a second fireplace in the home, so Clarkson added a Valor gas fireplace framed in porcelain tile from Stone Tile to the living area. Clarkson carved out part of the master bedroom for a new bath. "They didn't need a ton of space in the bedroom, but they liked the idea of having more space in the bathroom to sit in the tub and look out at the sky," she said. 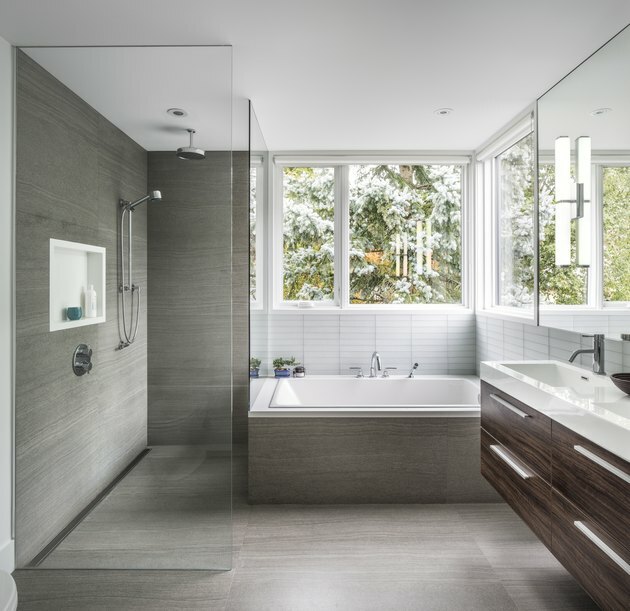 Grey porcelain Stone Project tiles were used on the floor and the shower walls, while white etched glass tiles were used behind the soaking tub and vanity. A modern addition was added to the rear, creating room for the master bathroom and providing more counter space in the kitchen. The firm also built a cedar deck and a stone patio. "It makes the house feel bigger because it turns the backyard into an outdoor room," Clarkson said.